Mumbai, Mar 8 (PTI) The rupee opened 18 paise lower at 70.18 against the US dollar Friday on increased demand for the greenback from importers and banks amid lower opening of domestic equities. However, fresh foreign fund inflows, easing crude prices supported the rupee and restricted the fall. The rupee opened weak at 70.18 at the interbank forex market, down 18 paise from its last close. The local currency, however, pared the initial loss and was trading at 70.11. 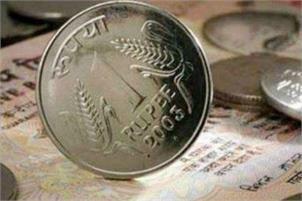 On Thursday, the rupee had strengthened 28 paise to close at 70 against the US dollar. Foreign institutional investors (FIIs) remained net buyers in the capital markets, putting in Rs 1,137.85 crore Thursday, as per provisional data. Meanwhile, brent crude futures, the global oil benchmark, fell 0.74 per cent to USD 65.81 per barrel. Indian bourses declined in early trade Friday with benchmark indices Sensex trading 62.24 points down at 36,663.18 and Nifty down 21.10 points at 11,031.65.